Pick your side and stand a chance to get a $50 COURTS Voucher*. We’re selecting 20 lucky winners from the winning side! 2) Give this post a HEART ❤ or ANGRY ? reaction and be a part of the light or dark side respectively. 3) Recruit your friends to your side by tagging your friends in the comments below. Contest ends on 7 May 2017. Check fb.com/COURTSSG to see who prevails and May The Fourth be with you. 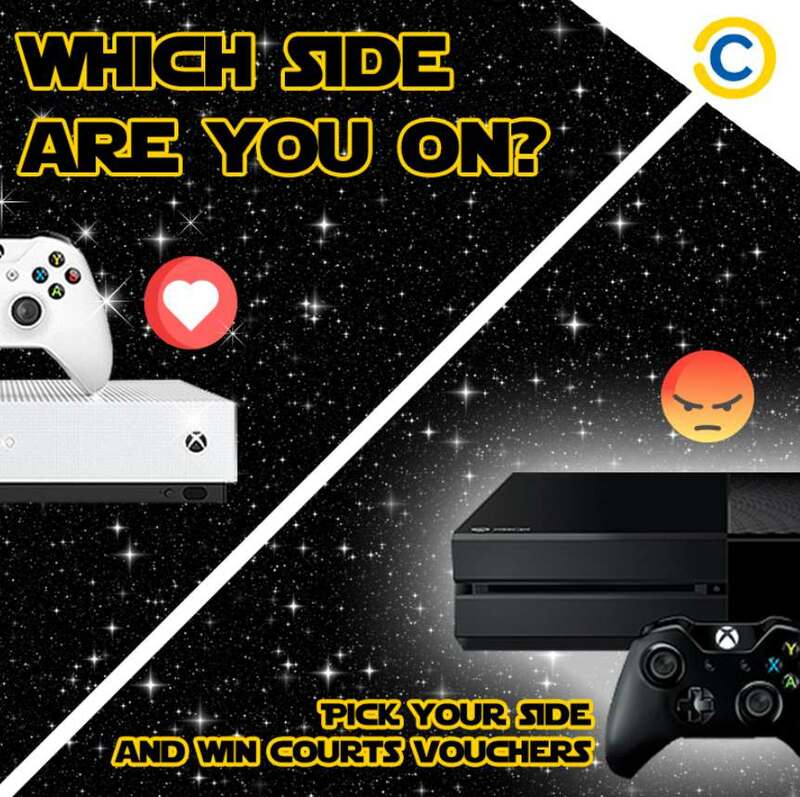 *COURTS Voucher will only be applicable for purchase of Xbox One or Xbox One S. Depending on which side you are on. Find out more at COURTS.